A group known as the South East Human Rights Situation Room has called on the federal government to embrace dialogue with agitators in the South East in order to ensure peace and development in the country. The group made this known while holding a public rally in Enugu State to commemorate the World Peace Day. 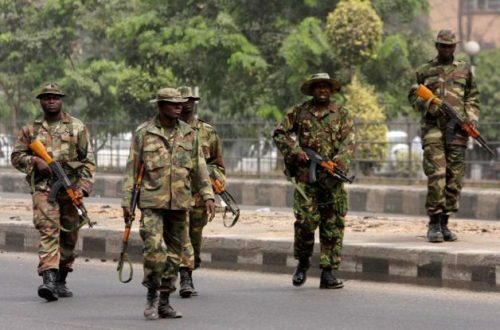 The rally which kicked off at Okpara Square Enugu, and extended to Nnamdi Azikiwe stadium Ogui road, Enugu, was aimed at educating residents of the south East zone, on how to embrace peace and shun all forms of violence with respect to the Operation Python Dance II (Egwu Eke II) exercise embarked upon by the military in the South East. The group also stated that their aim is to enlighten the general public on safety tips, shunning violence in every aspect and ensuring that the youth are law abiding for enabling peace and development in the country. “We are here because of the escalating violence and agitation that has led to the operation tagged: Egwu Eke II where many people have lost their lives,” she said. He stated that the only way to achieve progress in this country is for the government to embrace dialogue for peace and the youth to shun violence. The group urged the public to continue with their daily activities, work in accordance with the law, and direct any infraction to the South East Human Rights Situation Room.